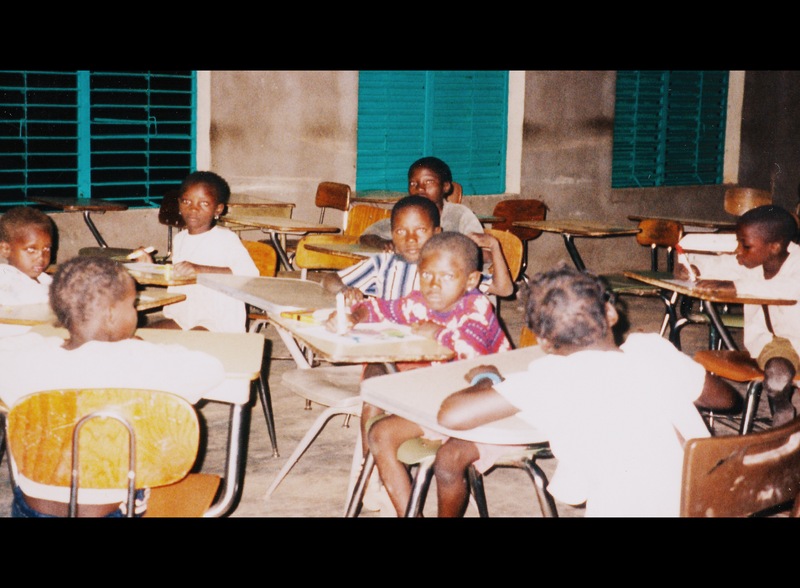 I wrote this years ago reflecting on time I spent teaching English in Burkina Faso, West Africa, one of the poorest countries in the world. Thanks to these children, hardly a week passes that I do not think of the realities of children living in poverty. “Nasara! Nasara!” the children shouted as my moped puttered down their street. I may have been the first white person they had ever seen. “Goo morneen!” they waved. Some wore tattered clothes. Some wore none at all. None wore shoes. Bright smiles dominated their tiny faces. I arrived at school where I was met by my students, “Goo morneen, Meess. How are you today?” they inquired, taking my books and bag. “Fine, thanks,” I was overjoyed, actually. Having taught in American public schools, the Burkinabé students continually amazed me with their respect and kindness. Together, we crossed the dusty school yard toward the classroom, dodging an occasional pothole, curious child or stray pig. One florescent light bulb provided light to the classroom. To turn it on, you had to precariously maneuver the wires until sparks flew and the bulb flickered on. Thankfully, my students were more adept at hot-wiring light bulbs than I. They had already swept the dust from the room and arranged the desks. Covered in a mix of sweat and red dust, I opened the metal slatted windows to let in a breeze. Four grinning faces stared back at me, eager to catch a glimpse of the nasara. When it rained, my students didn’t go outside for fear of catching malaria from getting chilled, and because the flooded, broken roads were too difficult to navigate on moped. I found this out one rainy night when no one showed up at my class except for the Bright Smiles. I invited them in, offering some paper and markers from my bag. Their eyes glistened with excitement to see such bright, clean colors in a land where most brilliance had faded and/or been covered by thick red dust long ago. For an hour, we spoke broken French and colored together under the dim glow of the lone light bulb. When they left, several of my marker caps mysteriously disappeared, even though I thought had clearly asked for them all back. I never did figure out why they took just the caps and not the markers. Maybe that inch of brilliance was still more color than they’d seen in their short lifetime. The World Health Organization reports that 23% of these bright smiles will die before they reach age 5. If my marker caps add a bit of brightness to their lives, they can have every last one as far as I’m concerned. Previous postWill the real teacher please stand up?